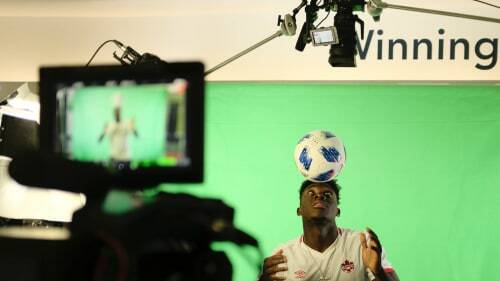 Since 2016 we've produced moving images for Red Bull Canada's digital platforms and have told over 700 stories across Instagram, Facebook, Red Bull TV, Twitch, Snapchat and Twitter. Told through a Canadian lens, we authenticate Red Bull's branding through content in sport & culture, with a close understanding of the inner workings of the regulated energy drink industry. For this broadcast our goal was to bring to the spotlight the personalities and stories behind Canada’s top Olympic athletes headed for the 2018 Winter Olympics in PyeongChang. Athlete influencers have become crucial partners for sports brands by helping to uplift brand awareness and create positive brand associations among their core demographic. Influencer marketing delivers 10x more ROI than traditional forms of digital marketing.